Oh man, hello Top Ten Tuesday! Its been a really long time hasn’t it? Well I’m back, and it looks like I picked the perfect week to ease back into it. For any of you lovely people who wandered here through my facebook or twitter Top Ten Tuesday is a weekly meme hosted over at The Broke and the Bookish, which is a delightful blog in and of itself. 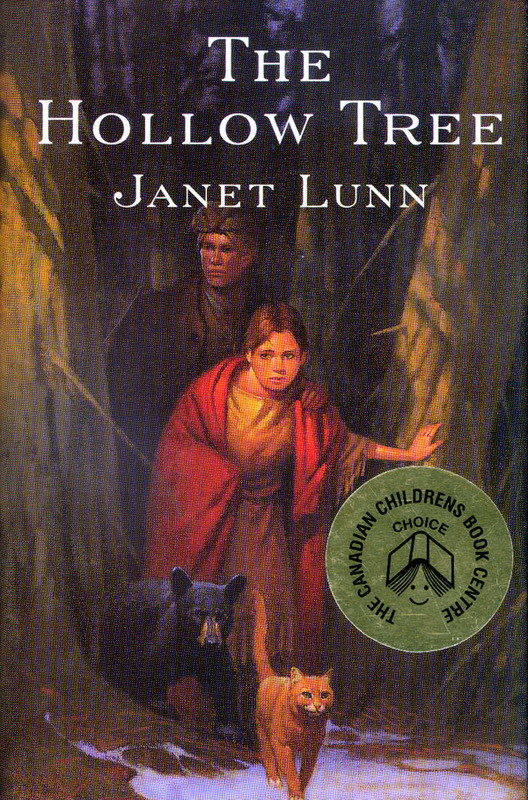 T he Hollow Tree – Janet Lunn: This is the first children’s historical fiction book I ever read of my own volition. I had done novel studies in school but none of them had ever really stuck with me. Looking back though, all of the the novel studies I can remember also featured male leads, so while the stories were good, I had a hard time connecting with the characters. I cant remember where I got my copy, an inkling says my auntie might have picked it up for me, but Its been a treasure ever since. I read it every couple of years and still really enjoy the characters and writing style and setting. It is such an excellently written children’s book with a believable and strong girl lead. De vil on my Back – Monica Hughes: My first foray into Monica Hughes’ writing was with Guardian of Isis, which is definitely another one of my favourites. I stumbled onto her while stumbling around the stacks of my junior high library. Hughes also being a local author sealed the deal for me. After finishing off what I thought to be the rest of the Isis series (I would find out years later that there was in fact a 3rd book) I greedily devoured the rest of Monica Hughes books and while each one holds a special place in my heart Devil on my Back was my first foray into the dystopian future genre that would later take hold of my life. T here Will Be Wolves – Karleen Bradford: I spent a lot of time in my grade 5 -7 years hanging out in the Library, our Librarian Ms Taylor would let us spend our recesses and lunches in if we liked, and I got the chance to play on the old type writer and browse through the stacks. I found this book during one one such browse. 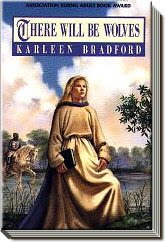 I had never read anything that was set during the crusades and it had a female lead (something I stuck to almost exclusively, Monica Hughes’ books being one of the few exceptions), so I was willing to give it a try. The book had no qualms about showing the harsh reality of life during the crusades, both for those who were being concurred and for those who followed in the shadows of the armies. 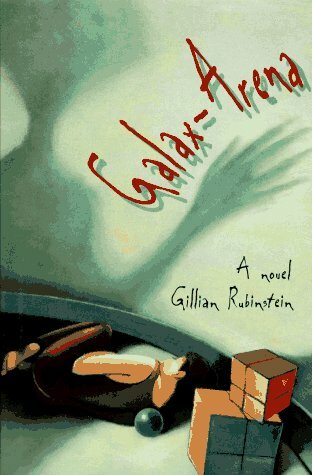 Galax-Arena – Gillian Rubinstein: This book was delightfully spooky in places and ridiculous in others. Once again my thirst for a dystopian future with all its terrible consequences. The mix of gymnastics in space with aliens and a little bit of Lord of the Flies. It was also the first book I ever read with a swear in it, which maybe should have traumatized be but instead made me feel so grown up. A Handful of Time – Kit Pearson: This book I got from my favourite auntie (I’m a terrible person :P). I had told her all about my love of Kit Pearson’s book Awake and Dreaming and in all her infinite wisdom bought be a copy of A Handful of Time for my 12th birthday. It had everything 12 year old me could have wanted, a girl who was 12, set in cabin country Alberta, and a watch that let you travel through time. Throw on top of this that the main character was dealing with a lot of the same social anxiety as I was and you had a perfect escape. B eauty – Robyn McKinley: I grew up on Disney. My mom had a copy of every Disney VHS that came out, sometimes two if they came out with a special edition. The splendour and magic of fairy tales took me out of my boring life and dropped into a place more extraordinary then I had ever known. When I found McKinley’s retelling it took a story I already knew and loved and gave it a whole new dimension. 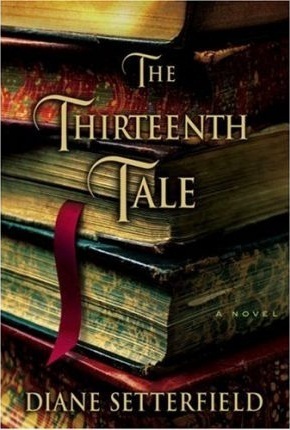 It has since grown my love for retellings and has branched out into the grown up versions of both fairytale and classic story retellings such as the Wicked Years series and The Big Over Easy. Lord of the Rings – J.R.R Tolkien: The first of the LOTR movies came out when I was still in junior high, but the lead up was immense. I was swept away in the thrill of a new fantasy adventure series and learning it was based on a book series made me determined to finish reading the entire Trilogy before the movies came out. I was sadly not able to finish the entire series before the first film but was able to polish off The Fellowship of the Ring and a good chunk of The Two Towers. If it hadn’t been for the impending movies, and a love of The Hobbit, I dont know if I would have found the will power to muscle through some of the denser chapters of what is now a favourite series. Exodus – Julie Bertenga: This is the first book I remember buying, like actually walking into a bookstore picking up and paying for it with my money. It was the beginning of my buying beautiful books phase, and it treated me well. I honestly hate the redesign for the series covers, they are ugly and play into the whole “Teen Lit novels need to look dark and moody”. Exodus brought me into one of my favorite genres, it was a step above the distopian future I loved, and dropped me into a distopian apocalyptic future, which was a delightful change of pace. And for all the books in that genre I have read this one still feels beautiful and unique with its watery planet and ancient internet. Alex Series – Nancy Simpson Levene: Aww man the names of these book were simple priceless! Grapefruit Basket Upset, Hot Chocolate Forgiveness, Crocodile Meatloaf. 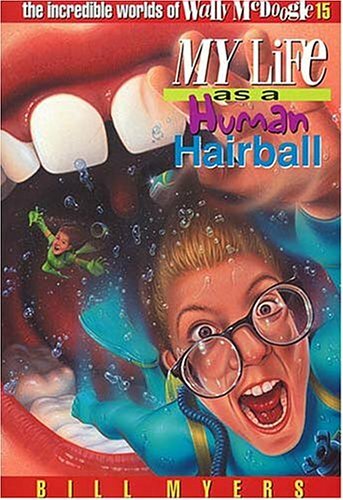 In elementary I ate these silly books up! They were written by a Christian author specifically to teach morals and values in a fun way for kids. My mom bought me one and I was hooked! Alex was delightful silly and brash and was the epitome of a little girl. I remember on several occasions my mom bribed me with these books to get me to do extra chores around the house! The Incredible Worlds of Wally McDoogle – Bill Meyers: Another one of those Chrisitan series that was about morals and values, but this one was absolutely hilarious. It was another one of the new exceptions I made to having a boy lead character. But Wally was nerdy and clutzy and all around loveable oaf who on top of living his own increadibly unlikely and funny story was also creating his own worlds and stories on his laptop. Welcome to another grand edition of Top Ten Tuesday! I’m really starting to like these posts, it gets my writing and my creative juices (juices.. *retch*) flowing! Our topic today Top Ten Books To Save If Her House Were Abducted By Aliens (or any other disaster struck), which I think is a fantastic one!! Its a unique one and runs more on a persons emotional attachment to a book rather then their objective critique of it. As a giant p.s. everyone should wander over to the Top Ten Tuesday lists at The Broke and the Bookish and read everyone’s entries, I’ve hyperlinked everything including the banner so move it slackers! ❤ Also, my disaster is not aliens, I’ve watched too much StarTrek, I would make friends with them and have them let me take my books out of the house or go along in it for some fun time spacey adventures, ala Doctor Wh0. My disaster shall be fire, cause I have a deep abiding fear of it. 1. 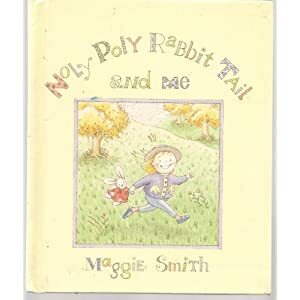 Noly Poly Rabbit Tail and Me by Maggie Smith: I would save it for two reasons. a) Because I don’t think I would ever find another copy of it, b) because it was given to me by one of the few friends I had before I reached grade 5. I know her mom probably picked it out, and that we don’t speak anymore, but that book really helped me out when I was getting teased all the time in school. 2. Guess How Much I Love You by Sam McBratney: I know another picture book, this one I know I could replace, but it was given to me by my m0m on some Valentines day or another. She wrote inside it telling me how she “loved me more” a running joke she and I have. 3. 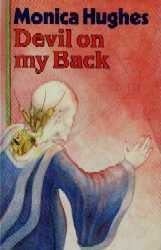 Anything written by Monica Hughes: Simply because her work is wonderful and so incredibly hard to find, if I ever lost any of her works there is no guarantee that I would ever be able to find a copy again. Kids sci-fi is coming back a little, aka. Invitation to the Game getting a republish, but its unlikely I’ll be seeing them anytime soon. 4. My Bibles: I have a lot of them… Its the difference in the translations that fascinate me, that along with their deep abiding meaning to how I run my life. Also quite a few of them were gifts and therefore mean a lot to me. 5. Pride and Prejudice by Jane Austen: On top of loving this book so much the copy I have is pretty fantastic! It has a plain black cover that has a bungee cord attached to hold the book closed. Very simple and clean and travelled well (most books don’t survive a week in my purse.) It also had some amazing features, including a time line comparing Austen’s writing to world events, notes of the issue in context of Austen’s world, and character summaries. It was printed as one of those cheap store brand collections and I doubt it would ever be published in the same format again, I would grab this title and sprint! 6. The Hobbit by J.R.R Tolkien, Illustrated by Michael Hauge: This poor book is almost falling apart. We’ve had in my moms house for years, and when I moved out I ran off with it! The pictures used to terrify me, but when I finally manned up (figuratively speaking) and read it in junior high the pictures helped me in vision the story in a way that a non-illustrated version never could have. 7. 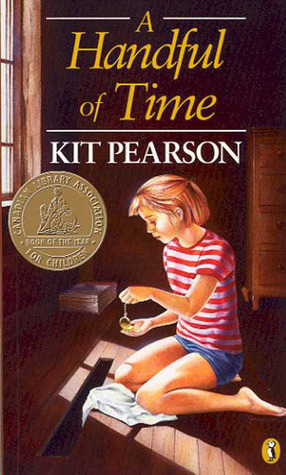 A Handful of Time by Kit Pearson: My favorite auntie (I’m a terrible person and I’m aware of it) gave me this book back in grade school. She was one of the few relatives in the extended family that paid real attention to who I was as an individual. She took time to get to know me and asked who my favorite author was and bought me this book for my 12th birthday. 8. Hark! A Vagrant by Kate Beaton: Granted this is a collection of comic strips, but it is also a book. I find Kate’s work to be accessible and hilarious, and I often end up learning something while laughing. I had 0ne heck of a time hunting down the copy I have now and wouldn’t like to endeavour another try at it. 9. My Diaries: lol stupid I know, and maybe you wouldn’t consider it a book per say, but they are bound and filled with words. Its not so much that I think I have a lot of great things to say, but I want to be one of those grannies who can flip through my old diary and pass it to my grand kids so they can see that their granny was an uncool tool at one point too!! 😛 I also have all my poems written out in diaries, and would hate to loose them. 1o. Hans Chrisitan Anderson Fairytales: My birthday is April 2, one day after April fools, and growing up I got a lot of jokes, but had no one to share my birthday with. No one else was born on April 2nd, I can only assume as careful planning by their parents. Then I found out I shared a birthday with Hans Christian Anderson, who wrote some of the worlds most beloved fairytales. I lucked out and found this giant illustrated edition at a garage sale for $5 and haven’t seen anything even remotely close to it since. Thanks for stopping by and reading all. I hope you find my list interesting, and I cant wait to read yours too, drop me a line and link me too your entry, let me know what you think. 1. 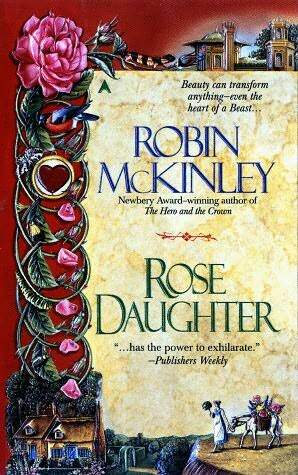 Rose Daughter by Robin McKinley – This is an amazing re-telling of Beauty and the Beast. It takes a story we know and love and weaves so many new layers in. Gives rise to discussions on changes to the original story, deemed both good and bad; as well as her interpretation of familiar and loved characters. 2. With the Light by Keiko Tobe – Some of you will know what manga is, others wont. Manga is the Japanese equivalent to a comic, vastly different then the Archie’s you might be imagining, manga spans a huge range of content and emotions, from the Dragon Ball and Sailor Moon you grew up on, to this amazing title. With the Light follows the autistic boy Hikaru and his mother and their struggles to make their way in modern Japan. This book has made me cry, and laugh, and yell. The stigmas that we associate with autism here in North America are already pretty harsh, pile on top of that the culture of perfection and conformity that is Japan and your in for an emotional roller coaster. The topics of discussion are vast, and views varied, and make an amazing read for both book clubs and individuals. The mangaka (author and writer) did an amazing amount of research and paints a accurate, beautiful, and sad picture for us. 3. The Guests of War Trilogy by Kit Pearson – Technically a young readers title but has a great amount of detail. Evacuated from England to Canada during the second World War, Norah and Gavin must adjust to living in a foreign environment without their family. 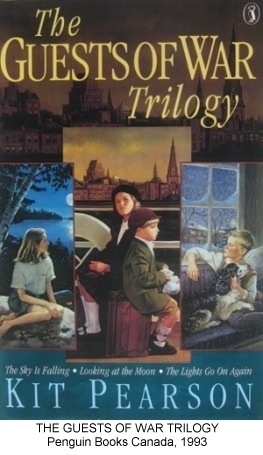 The trilogy covers the five years they live in Canada and slowly adjust, and by the last book its time for them to return home. Norah who was 10 when they left is eager to see her family and childhood home, Gavin, 5 when he left, has little memory and is hard-pressed to leave the land he’s grown to love. Differences in culture, adjusting to new surroundings, the impact of the war on children and Canadian families are all great conversations to strike up. 4. The Secret Life of Marilyn Monroe by J. Randy Taraborrelli – Marilyn was an icon. Whether you love her or hate her, if there’s one thing you can credit her with its never being boring. What I loved about this biography is the writers keen eye for detail and not being afraid to shock us with the truth and shine light on some of the oldest rumours, all while giving us sources and documentation along the way. Speculating on how the various influences in her life pushed her one way or another, and speculating on what could have happened if someone had just stepped in. 5. The Gurnsey Literacy and Potato Peel Pie Society by Mary Anne Shaffer – I know this is already a book club read, but common. Just read it, WWII, letters, an author, a book club, a lovable cast, everyone read this book and talk about it. Its amazing… That is all. 7. The Book Thief by Markus Zusak -I am 90% sure this book is already a book club pick too, but it deserves love none-the-less. This book takes a unflinching look at a childhood spent in Germany. 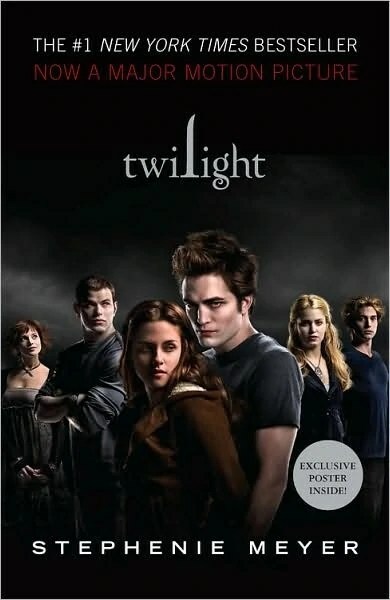 It introduces us to a cast of characters that you fall in love with, and a setting that is unparalleled. Not to mention a narrator like no other. This book was the second book to ever make me cry. I bawled like a baby. I think it would be interesting to see how other people react to a group of people we are told we are supposed to hate for the things they’ve done, when they find out many of them were just like us. 8. Trouble with Lichen by John Wyndham – I have a huge love and respect for every title John Wyndham title I’ve read. He does science fiction in such a subtle way. 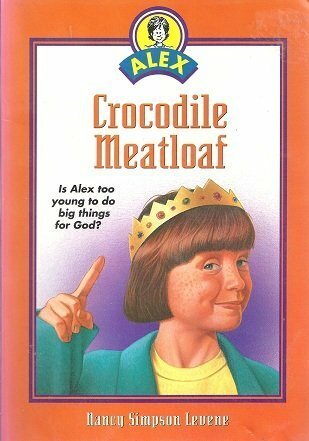 I think this one would be the best of his titles for a book club as it has the strongest questions to pose. Should anyone live forever? Who has the right to share or hide such a revelation? Should only certain people be allowed ? The implications raise in this book are fascinating. Layer that on top of Wyndham’s complex and dynamic characters and you have a recipe for success. 9. Some Girls: My Life In a Harem by Jillian Lauren – The title jumps out at you doesn’t it? I picked up the book for just that reason. Read the back, read the first few pages and was transported. When I think of a harem, my mind goes straight to the musical The King and I and the King of Siam and his big brood. Its not a concept that had any footing in reality. So reading the book was surreal following this woman into a world of jealousy, intrigue and money. Perfect for a book club, discussing her steps leading to where she got, the relationships between the people present, all interesting topics to explore. Hmmm, seems I can only crack out 9 for this week. I have lots of books I’d recommend in general, and would love someone to read and squeal with, but these are really best for group discussion. I’ve been waffling back and forth about what to write about for the first official entry. I’ve mentally skimmed my bookshelf, mulling over this title and that. Its like trying to pick who will be your best friend for the day, it will make the others angry. And if there is one thing we mustn’t do, its make the books angry. I lovingly stroke their spines and come back to reality. I am at work, listening to the Wailin’ Jenny’s, the hustle and bustle of the rest of the workplace moving around me. I look to Doctor Pink the Dinosaur, he is no help, he is an idiot. I turn to my army of Cyber men, nothing there either, that’s the problem with a hive mind. I twirl my very cool sonic screwdriver between my fingers, and obviously stop typing for a time as twirling and typing are incompatible. And so I bring to you one of my first loves, Awake and Dreaming. It marked the first time I picked up and enjoyed something other then the sugar and lolipop everything is going to be ok, childhood brain candy I’d been munching on. Ironic actually now that I look back it. A book about breaking away from the fantasies of perfection, with a main character who also read sugar and lolipop books, who steps up and faces reality. Awake and Dreaming is written by Kit Pearson, and it was through her that I grew to love and adore literature. It was also the first time I took any stock of who was writing my books, I flipped to the back and was astounded to find out that she was not only Canadian, but had spent part of her time growing up in Edmonton. This fuelled by passion for Canadian authors, and lead me eventually to hunt down Monica Hughes, who became another favourite, but I digress. I had found a book, its cover beautiful and mysterious to me, its author local, its pages new. I cracked it open and fell in head first. Here was little Theodora, living in run down Vancouver apartment with her neglectful mother, being ignored and mistreated by her classmates because of it, and escaping into books filled with perfect families. It is not a perfect existence but one that Theo knows, one she is familiar with. This is all thrown into the wind when her mother tells her she is being sent to live with her Aunt in Vancouver. Next thing we know our darling Theo wakes up surrounded by a dream world, a dream very specific to her. A cozy warm bed set, a floor littered with toys and clothes and bags, shelves filled with books and photos and treasure. Surely this cant be real, it must be a dream, but here she is, living happily with the Kaldor’s. Eating breakfast, going shopping, attending school, learning to ride a bike, going on adventures on their mountain, and lazy afternoons in the grave yard. It is perfect, everything she ever wanted, ever expected from a perfect family. She is, for the first time, happy. And then she starts to fade away… Slowly at first, they cant hear her voice, forget that she’s there, until she’s invisible all together. In a tantrum of pain and confusion, Theo’s head begins to throb, and the world slips into darkness. Cruel reality wrenches her back, she is on the ferry, the world bustling around her just as though it never changed. No time had passed, her weeks with the Kaldor’s evaporated, and yet there were the memories. They arrive in Victoria with little pomp, and Theo is given over to her Aunts care. School starts, and a new life unfolds. School is awkward, and Theo slowly begins to make friends and take stock of her surroundings. In a fit of whimsy and determination Theo sets out in a search for the Kaldor’s, and finds them living in the same home, with the same pets, and same children, only with none of the gloss of dreams. What follows is a beautiful story, filled with new expectations, friendships, tears and a ghost. 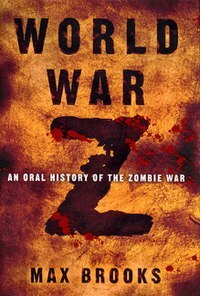 Looking back I can see why this book appealed to me so much. It was the first book that carried real emotions. I remember the anger I felt at Theo’s mom for treating her so bad. The tightening of fear and sorrow in my chest when Theo started to slip away. The joy and the triumph of Theo finally standing up for herself. It was a book that taught me that while dreams are worth chasing, the world is still very real. This book was the first of many books that would follow me into adulthood, and marked the end of an era. The end of using books just to hide, and using them to learn. I hope that if you pick up this book it will look into you as much as it did into me, and that it would spark a new interest in all the amazing authors Canada has to offer.